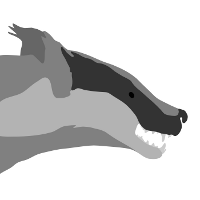 Browse: Home / HoneyBadger – TCP attack inquisitor and 0-day catcher. HoneyBadger is a comprehensive TCP stream analysis tool for detecting and recording TCP attacks. HoneyBadger includes a variety of TCP stream injections attacks which will prove that the TCP attack detection is reliable. – HoneyBadger will primarily be a comprehensive TCP stream analysis tool for detecting and recording TCP attacks. Perhaps it can assist in discovering 0-days and botnets. – HoneyBadger will include a variety of TCP stream injections attacks which will prove that the TCP attack detection is reliable. 2. run honey_badger with these arguments… Note we are telling honey_badger to write log files to the current working directory. ./honey_badger -i=lo -f="tcp port 9666" -l="." 6. In this next step we enter some data on the netcat server so that it will send it to the netcat client that is connected until the spray_injector prints a log message containing “packet spray sent!” In that cause the TCP connection will have been sloppily injected. 7. Look for the log files in honey_badger’s working directory. You should see two files beginning with “127.0.0.1”; the pcap file is a full packet log of that TCP connection which you can easily view in Wireshark et al. The JSON file contains attack reports. This is various peices of information relevant to each TCP injection attack. The spray_injector tends to produce several injections… and does so sloppily in regards to keeping the client and server synchronized. ← GRR Rapid Response client v-3.0.0.5 & server v-0.3.0-5 released: remote live forensics for incident response.